I sometimes make a particular effort to experience slow time. But the calendar seems to speed up each year. It’s easy to be surprised that the winter holidays are here. It is already the eight day of Hanukkah. Christmas is only a couple of weeks away. The Winter Solstice. New Year. I have had a tradition in past years of sending out a list of recommended books around the holidays. In my mind, you received this email at least two weeks ago. Let’s just say that’s when this was sent out, shall we? If you’re still looking for some gifts to give, to family, to like-minded friends, or even to yourself as a way to begin the new year, consider the gift of poetry and inspiration. Poetry lasts in ways few other gifts can. A really good poem unwraps itself a little more each time it is read, becoming a continuously opening gift to the mind and the heart. 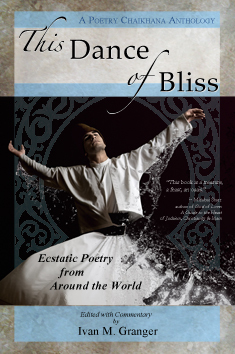 This Dance of Bliss is an inspiring collection of poems and wisdom stories from the world’s great sacred traditions. 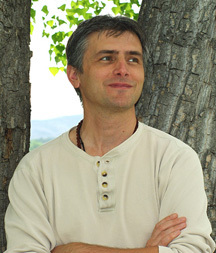 Rumi, St. John of the Cross, Lalla, Goethe, Hildegard von Bingen, Dogen, Khayyam, and many others gather together within these pages to sing their ecstatic songs. 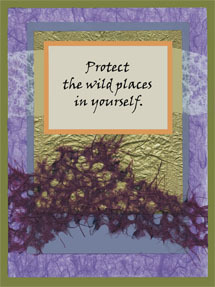 Excerpts of Rumi’s poetry accompanied by amazing digital collage artwork that draws you deeply into each page. This book entrances on several levels. An excellent gift book. Another very good anthology of spiritual poetry by women, from ancient to modern times. Poets like Mirabai, Mahadevi, Lal Ded, Sappho, Sun Buer, Dickenson, Tsvetaeva. The two books together — this with Women in Praise of the Sacred — make a good collection. 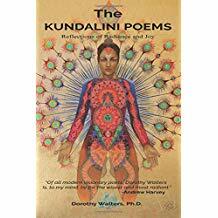 The continuing poetic dialog between Dorothy Walters and the unfolding dance of the Kundalini. 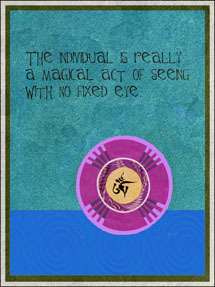 Words of a modern mystic to be savored. Prayers as poems. Poems as prayers. A wonderful selection from Rumi to Rilke, from the Buddha to the Bible. Prayers of celebration. Prayers that heal. Prayers for sorrow. Prayers for daily life. Whether we formally pray or not, whether we connect to a personal sense of God or not, these prayer poems awaken the heart and revitalize the spirit, reconnecting us to life all around us. By Carl W. Ernst, Ph.D.
Not a collection of poetry, but good book to help you begin to understand who the Sufis really are. An intelligent, insightful look at the history, practices, philosophies, schools, and even politics of Sufism. If you’ve loved the poetry of Rumi but only have a vague idea of how Sufism fits within the Islamic faith, this book is a good place to start. Short wisdom stories from the Sufi tradition that surprise with unexpected insight, delightful humor, and enigmatic conclusions that invite deeper contemplation. I have been rereading this favorite collection for years. An excellent collection of the great Hebrew poets and writers who emerged from the flowering of Jewish culture in Medieval Spain. A nice sampling of important figures of Kabbalah, philosophy, and culture, like Hanagid, ibn Gabirol, Halevi, Abulafia, and many more. While T. Carmi’s Penguin Book of Hebrew Verse is more comprehensive, Cole has more of a poet’s sense of language. This book is an excellent sampling of haiku, traditional and modern, and, at the same time a wise and playful exploration of the essence of haiku insight. 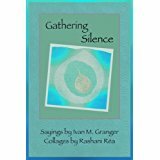 A bit pricey for this slim volume, but enthusiastically recommended for meditators, writers, and haiku enthusiasts. Also look for its companion volume Haiku: The Gentle Art of Disappearing. There are several very good translations of Rilke available, but I’ve slowly come to the opinion that Barrows and Macy, more than any others, get the tone just right. Their Rilke translations glow and uplift, but without losing the shadows that also haunt the spaces between his words. Perfect! A lovely, insightful meditation of the poetry of Rilke and why it speaks so powerfully to us today. The perfect companion book to pair with your favorite Rilke collection. Andrew Schelling’s translations embody that tension between heartbreak and ecstasy that runs through all of Mirabai’s poetry. These poems can be read as love poems or as spiritual poems — but, of course, they are both. Another very good collection of Persian Sufi poetry. This book focuses on poems and poets that are not as well known in the West. A good place to discover some new names. This book became an immediate favorite of mine ever since I picked up a copy of it a few years ago. Stunning poems from the Shiva bhakti tradition of India. Basava, Devara Dasimayya, Akka Mahadevi, Allama Prabhu. The commentary in the book, though a little academic, is genuinely insightful. Enthusiastically recommended! There are several translations of the poetry of Lalla available in English now, good ones too, but Ranjit Hoskote’s versions are my favorite. They seem to marry a love of the original language with a poet’s sense of English, without ever losing the mystic’s fire at the center of each poem. Recommended. For even more book recommendations, click here. Let’s remember that, in the midst of winter’s dark, this is the time to renew the light — within ourselves and our world. Regardless of religion, may we recognize our shared brotherhood and sisterhood within the human family, all within the lap of the generous green earth that is our home. 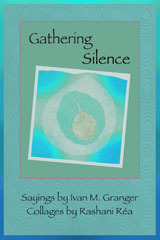 Published by Ivan M. Granger under Books,Poetry Chaikhana Misc. If you have a copy of This Dance of Bliss and it’s sparking some thoughts (or some silence) — or if it makes you want to dance — consider posting an online review on your preferred book site, like Good Reads, Barnes & Noble, or Amazon. Online browsers can’t pick a book off the shelf, hold it in their hands, and leaf through its pages. Reviews by other readers is the main way people decide to buy books online. Simply seeing that a number of people cared enough about the book to post a review is often the deciding factor to read more details about it. Posting your own review online helps the Poetry Chaikhana and it also helps other readers to discover a new favorite book. As a follow-up to my note raising concerns about Amazon’s business practices, several of you contacted me with some promising sites worth exploring. Two sites in particular caught my attention: Wordery and Better World Books. Both are online booksellers and both offer free shipping *worldwide*. Both also contribute a certain amount of their profits and book stock to charities and literacy programs. They seem to take a little while to add new books to their online catalogs, however. This Dance of Bliss is not yet listed with their sites, but other Poetry Chaikhana publications are listed. I am in contact with them to see if I can facilitate the process of adding the new anthology. If all continues to look promising, I may soon change the Poetry Chaikhana book links to favor one of these sites (though Poetry Chaikhana books will still remain available through Amazon and other online book sources). * Also, I should mention that someone sent me information about how, in response to the rising criticism, Amazon’s CEO just donated a very large sum of money to help with homelessness. While the action with most integrity would be to improve his company’s business practices and wage policies, a donation like that is not insignificant. How does that affect your perception of the company? I want to send out a big thank you to everyone for the enthusiastic response to my announcement of the new anthology. Pre-orders for This Dance of Bliss have been coming in from all over the US and the world. I will soon be shipping autographed copies to India, the UK, Canada, Australia, Pakistan, Ireland, The Netherlands, Italy, and several other countries. The pre-order offer remains available until Sept. 1st. You can purchase and autographed copy of This Dance of Bliss at a discounted rate, while supporting the Poetry Chaikhana and future publications. Because I am personally inscribing these pre-order copies and mailing them out myself, international shipping rates and times apply. If the international shipping rates feel prohibitive to you, This Dance of Bliss will also be available in late September through international book sites, like Amazon. The shipping costs from these sites may be less, if they have a location in your area — though the discount will not apply, and you’d be missing out on my lovely autograph! 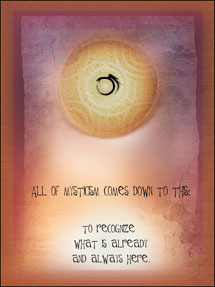 A Kindle ebook version of This Dance of Bliss will be available soon, as well. Last week I received the printed proof copy of the new Poetry Chaikhana anthology, and I am now deep into reading it and making final edits to the text. I have been very focused on completing the new Poetry Chaikhana anthology. I recently registered the ISBN number for the new book. That’s probably a detail only a publisher finds satisfaction in, but that is one of the last few steps to having a final “official” publication. Printed proof copies are on the way for final review and any last changes. Stay tuned for an official announcement soon! The new Poetry Chaikhana anthology is now at a point that I can tell you a bit more about it. The manuscript is complete and I have all of the necessary poem permissions. It is now in the final stages of editing. 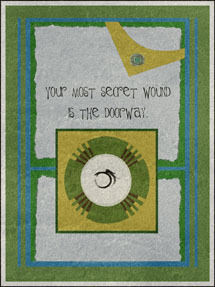 I now am putting the final touches on the book cover design. It is taking its final form. The next step is to do a final proofreading. Since the anthology includes my commentary and poet biographies, as well as the poems themselves, there is a plenty to review (and plenty to enjoy as a reader!). Volunteer proofreaders were a great help with the previous anthology-I’d love to ask once again for your help. Ideally, I would like half a dozen or more people, and I will send each person a small section of pages to look over. You don’t need to be a professional proofreader, but it helps to have a keen eye, a solid sense of English grammar, and maybe just a drop of OCD. I will gladly send a copy of the new anthology as a thank you for your help when it is published. If you’d like to help with the proofreading, please let me know by sending me a note at ivan@poetry-chaikhana.com. Thank you so much! Once the proofreading is done, I still have some marketing and publishing details to take care of, and then the book goes to the printers-and we have our new book! I know I have been mentioning it for quite some time, but I have been making some small but steady steps of progress with the next Poetry Chaikhana anthology, to be called This Dance of Bliss. I am entering the final phase of editing. I hope to be able to announce its availability later this summer or early autumn. I’ll give you more updates soon. I still like the feel of a tangible book in my hands, but the convenience of having a book — or a whole library — available at my fingertips on an electronic device is compelling. And the price saving is significant.